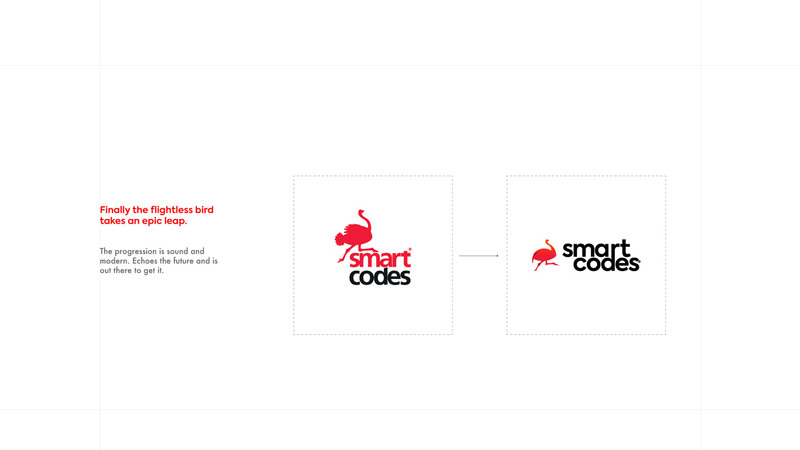 Digital and Technology agency Smart Codes has revamped its visual identity, products and services in a move to appeal to the changing needs of clients for advertising agencies and also to evolve with the modern times. The main announcement today was the new modern look of Smart Codes visual identity that includes an evolved and more defined bird – the Smart Codes Ostrich. This revamped look symbolizes improved ways of doing things to adapt to the fast-changing world of digital and technology. Speaking at Smart Codes offices in Mikocheni - Dar es Salaam during the revamp announcement, Smart Codes CEO Edwin Bruno said “Our revamp process started earlier this year when we decided to change things from within looking out. We started with basic but important things like redefining our internal company culture, how we work, who we hire, and the space our people work in” he added “We also took time to review our clients’ business models, the digital and technology industry at large and realized that more and more clients are looking for bespoke models from advertising agencies. This led us to breakdown our services into 16 categories, some offered as a value package and others offered as standalone service”. The 16 services being offered by Smart Codes include Strategy Formulation, Creative Conceptualization, Content Studio, Media Buy, Digital PR, Domain Hosting, Website Development, Mobile Apps, Digital Promo Raffle Tools, Digital Research, Publisher Networks, Innovation Lab, Social Media, Digital Experiential, and MPAPER. “These services mean Smart Codes clients vary based on their needs. For example, we have clients seeking strategic input on how to land their brand or product in the market and we offer a route to market plan. We now have a modern fully equipped in-house studio that clients can use to create their customized content from TVC animation and even radio ads. ” said Edwin. He further stated that Smart Lab is a new addition to the Smart Codes units that seeks to link corporates and local innovators who have disruptive ideas that can be accelerated for growth. Smart Codes will be running an online campaign further outlining its services for potential clients. Does this mean it should align with the quarterly strategy or just a rollout plan?